Edraw value stream map software is the easiest and most powerful map maker available. It is a cross-platform program which works on Mac, Windows and Linux. Just get a quick start by opening a pre-made template, and Edraw will do the rest for you. Enjoy Edraw's Power and Ease of Use by Editing Ready-Made Shapes and Templates. Hundreds of free editable diagram shapes make you instantly productive. Simply drag the shapes that suits your diagram bests and edit them to meet your demands. There is nothing to worry that you can not find the shapes you want in the built-in libraries since you can free design the shapes you want with embedded drawing tools. 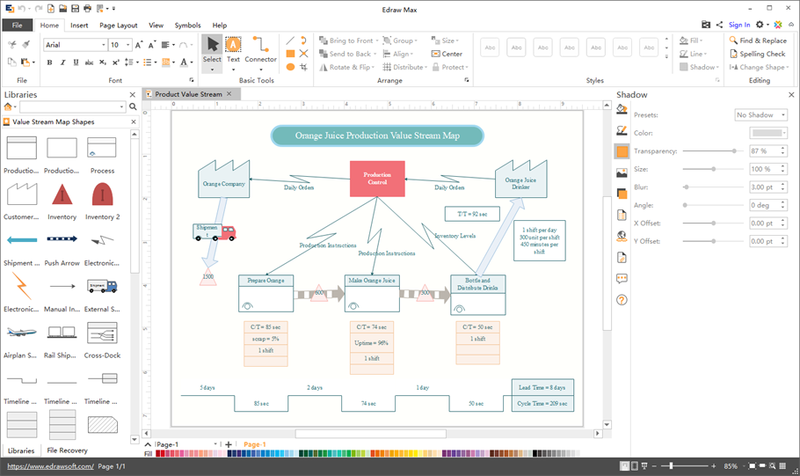 Edraw value stream map provides personal cloud and team cloud for users to save their diagrams more conveniently. 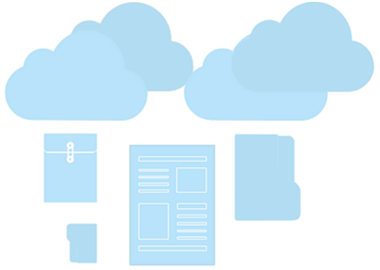 Once you save your diagrams in team cloud, any changes you make to the diagrams can be seen by members in the team which enables you to collaborate with them in real-time. Abundant exquisitely designed templates enable no matter an experienced product manager or a green hand to create professional value stream maps in minutes. Simply open a pre-made template and edit it to start your drawing if time is limited or start from scratch to enjoy the drawing pleasure by opening a blank drawing page. 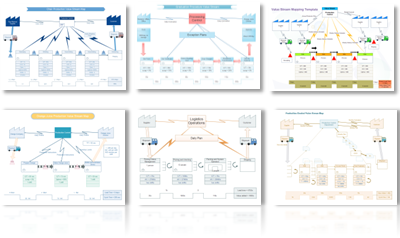 Are you troubled with how to share your value stream maps to your friends and colleagues since they may not install Edraw? Never mind it! 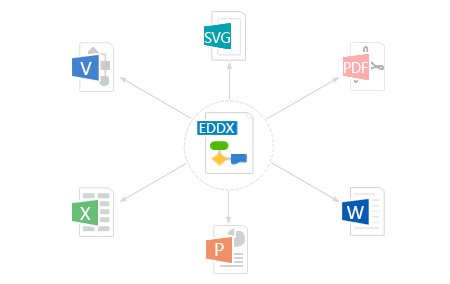 Our value stream map software supports exporting diagrams to commonly-used file formats with just one click, such as Word, Excel, PDF, PPT, JPEG, SVG, PNG, HTML, TIFF, Visio, etc. All the business diagram types below have special symbols and templates in our business diagram maker. Click to learn more information. Download Value Stream Map Software for Free! Download this awesome value stream map software now! We offer a free trial for 30 days. Any questions and suggestions of this program can be sent to support@edrawsoft.com. Your good advices will be appreciated.